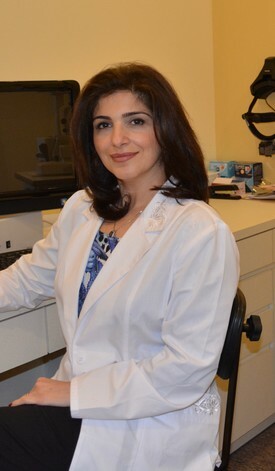 Dr. Neda Moshasha, the founder of the practice, received her Bachelor of Science degree in Biochemistry & Molecular Biology at the University of Maryland Baltimore County. She, then, continued her education and received her Doctor of Optometry degree from the New England College of Optometry in Boston, MA in year 2000. She has been practicing full scope primary care optometry for over 18 years. She has had further trainings in treatment and management of glaucoma from Berkeley School of Optometry. Dr. Moshasha has an extensive experience in co-management of Refractive and Cataract Surgery. She can perform complete eye examinations, comfortably, in three languages of English, Farsi, and Spanish. She has taken trips to Panama and Mexico for Humanitarian missions, and performed free eye examinations for thousands of less fortunate people. She often volunteers at the Samaritan’s clinic in San Mateo to perform free eye examination for lower income families. Dr. Moshasha lives in Half Moon Bay, CA with her family and is proud to serve the San Mateo County Coastal Communities. Dr. Tina Han is a Bay Area native. She studied advanced mathematics and earned a Bachelor of Science in Biological Sciences at UC Davis, and then earned a Bachelor of Science in Vision Science and a Doctor of Optometry degree at UC Berkeley School of Optometry. She is a member of the American Optometric Association, California Optometric Association, and San Mateo Optometric Society, where she served 13 years as the Continuing Education Chair. Her special interests are diagnosing and treating ocular surface diseases/red eye emergencies and fitting a variety of contact lenses. She is also certified to diagnose, treat, and manage glaucoma. Dr. Han enjoys examining people of all ages. With her calm and empathetic nature, she loves to build a good rapport with her patients. She believes in the importance of optimum vision and eye health and strives to provide the best, compassionate care for her patients in order to enhance their well-being and quality of life. 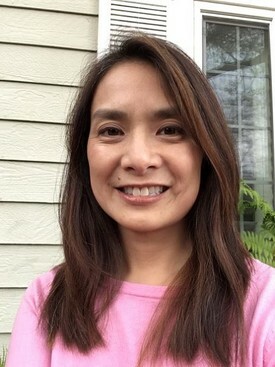 Dr. Han resides in San Mateo with her husband and three children. She loves music and nature, taking long hikes with her dog and friends, Yelping new restaurants to try with her family, and YouTubing new recipes to try at home. 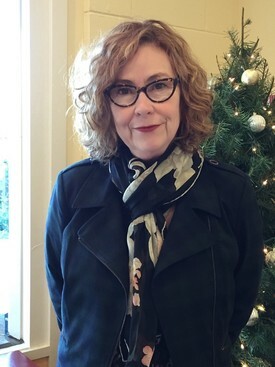 Jena Fritz is a licensed dispensing Optician, certified by the American Board of Opticianry and a Member of CADO, California Association of Dispensing Opticians.She has over 30 years of experience in the Optical Industry. 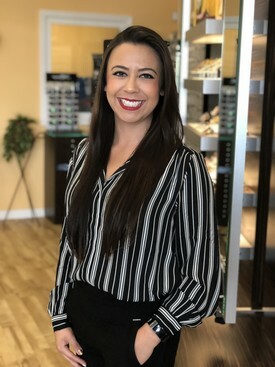 Her desire to stay current with the industry combined with her love of fashion and knowledge of the latest high tech lenses will help you find the perfect glasses to meet your optical needs.